After 15 minutes of cooking, drain off any liquid that has accumulated. 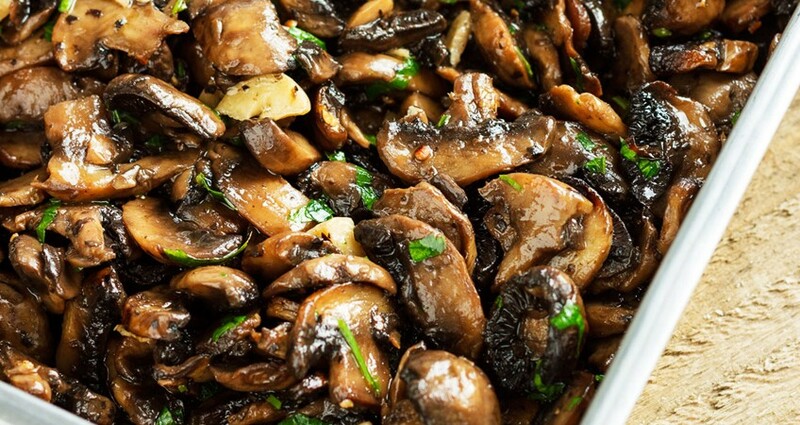 Then toss the hot mushrooms with the garlic-thyme mixture. Arrange back on roasting pan and cook about 10 minutes more. Serve hot, sprinkled with chopped fresh parsley if desired.